I have very important life-changing news for you today: You now have a legitimate reason to eat cake for dinner, and you have Bree Miller to thank. 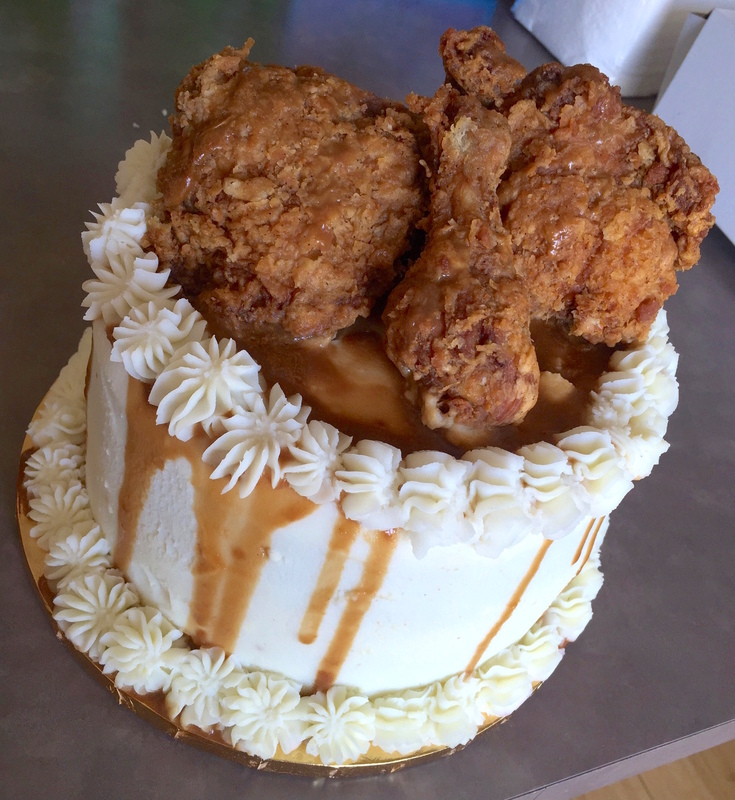 Bree Miller of Bree’s Cakes made the most amazing savory cake ever, and she deserves an award. Seriously. Someone get her a medal, because she is a baking genius. 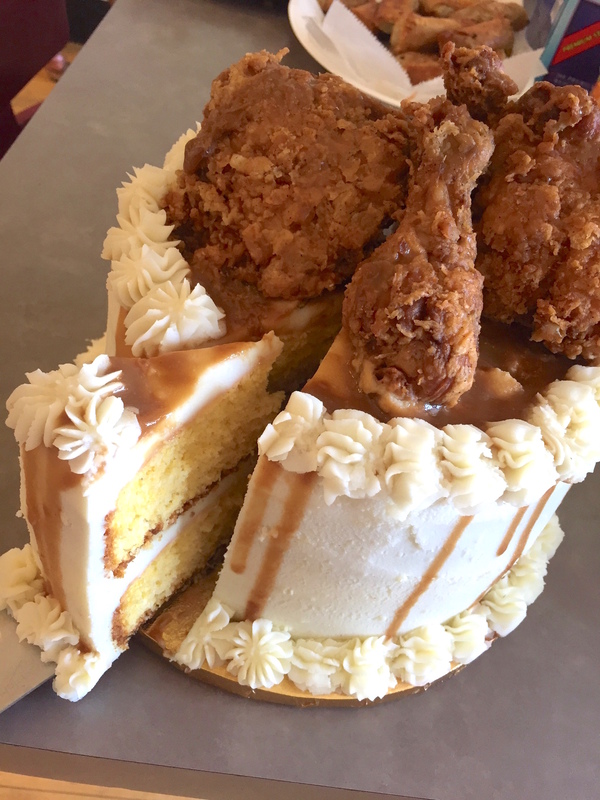 Behold, the glorious cornbread cake frosted with mashed potatoes, drizzled in gravy and topped with crispy fried chicken. Has dinner ever looked so good? But it gets even better. Although her original design was mashed potatoes only, it’s now basically a complete meal in one slice. 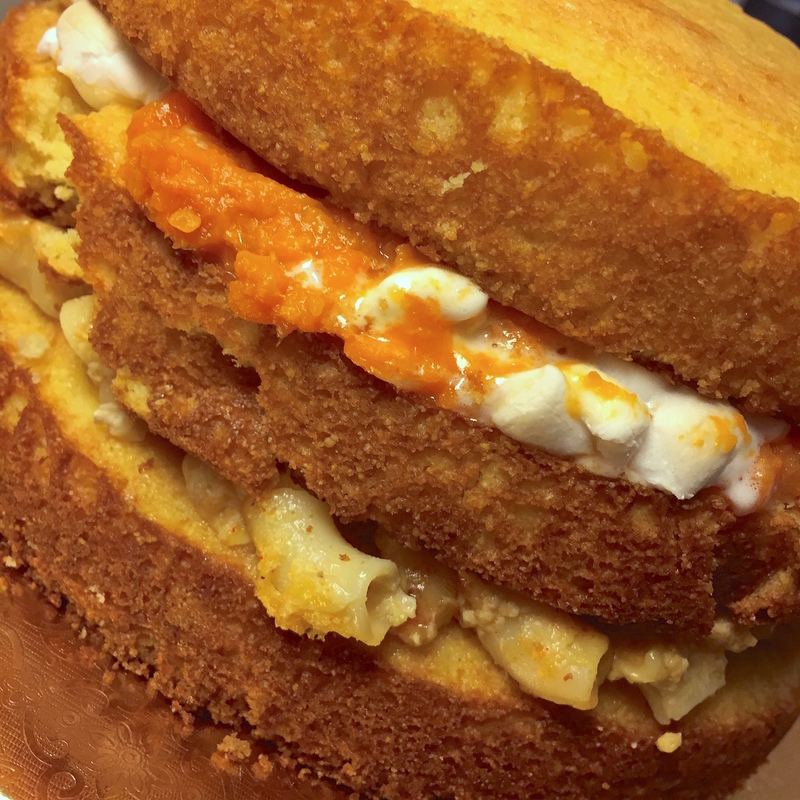 In between the layers of cornbread cake there are candied yams with toasted marshmallows and baked mac and cheese. Oh yes there are. When I asked her about calories, Bree laughed and said, “I like to not think about that when I eat. I don’t keep track of calories. If I like it, I eat it.” I couldn’t agree more. Nothing like a calorie count to ruin a perfectly good piece of cake. As for how this dream cake came to be, Bree says, “One of my friends found a picture on Google of a cornbread mashed potato casserole with greens inside and asked if I would accept the challenge to make something like that look like a cake.” She accepted the challenge, brought her creation to an Easter potluck where, needless to say, everyone loved it, and it blew up shortly after posting it online. Though she wasn’t planning on offering the cake for sale, her friend, rapper The Game, called her the minute he saw it and said he had to have it. (Actually, he had to have two. Smart man.) She’s now offering it to clients and already has other orders. 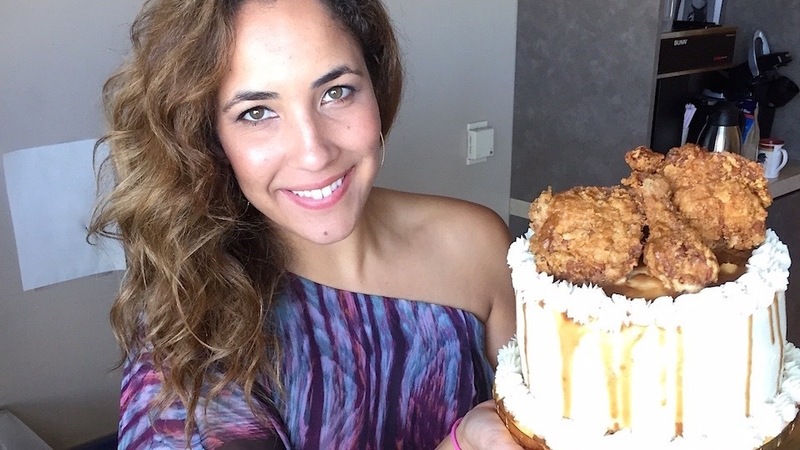 Bree says that while she’s made some very unique cakes from a design standpoint, this is definitely the most unique as far as flavor goes. And she’s already thinking about more savory cakes to add to her repertoire. She mentioned a hamburger-style cake, and I gotta tell you, my mouth is watering just thinking about it. 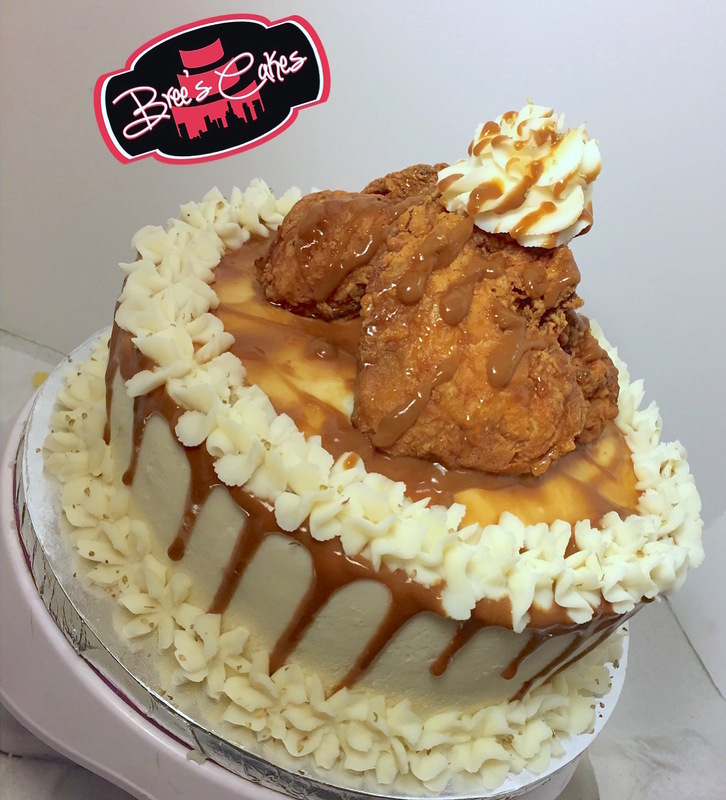 Bree’s Cakes is currently an online bakery, but she has plans to open a storefront this summer. While she does ship some items nationwide, unfortunately the cornbread cake isn’t shippable. Those of you lucky enough to be in the LA area can order her savory creation for delivery, though. Be right back… Booking a plane ticket to LA.